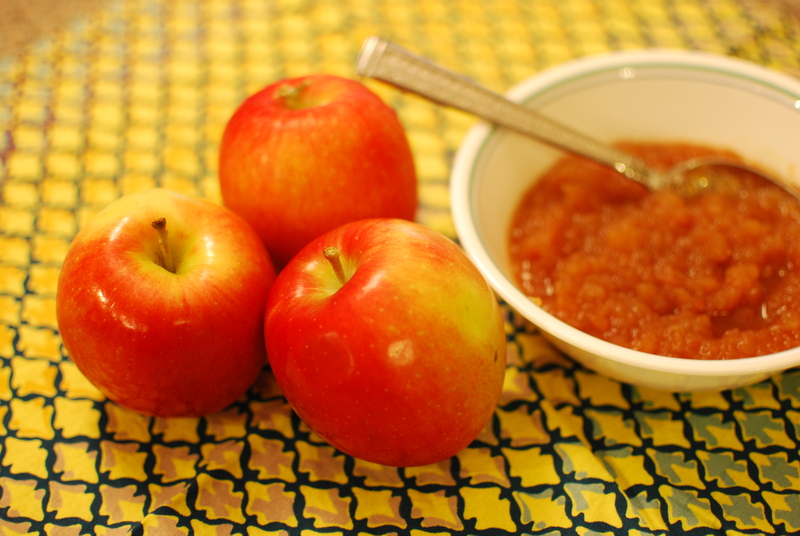 Homemade applesauce makes the house smell like fall, and it is so easy and so delicious! The kiddos devoured their applesauce, and we’ll definitely make this up again. Place apple slices in food processor in batches and process until the apples are in small pieces (or use your peeler, corer, slicer handy appliance); then put apples in Crockpot. Add sugar, water and cinnamon. Cover and cook on HIGH for 4 hours or LOW for 8 hours. Taste and add more sugar, if needed. (if you use your peeler, corer, slicer handy appliance, take a potato masher to mash the top layer of apples as the under the layers will have already broken apart).